There’s so much Bacon! I’m overwhelmed by all this Bacon! 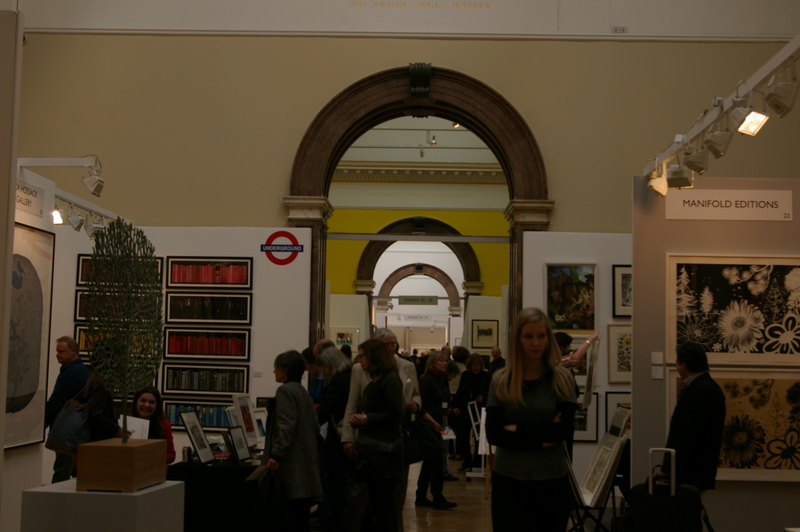 The above quotation sort of sums up our first-time experience visiting the Royal Academy of Art’s London Original Print Fair 2013. 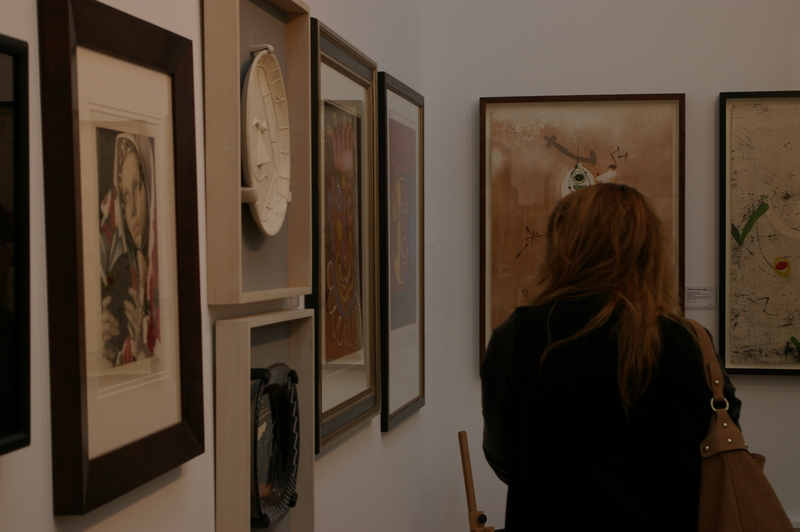 Taking up most of the Main Galleries – 10 out of 13 rooms – the fair exhibits the print collections of 50 commercial galleries and art schools. 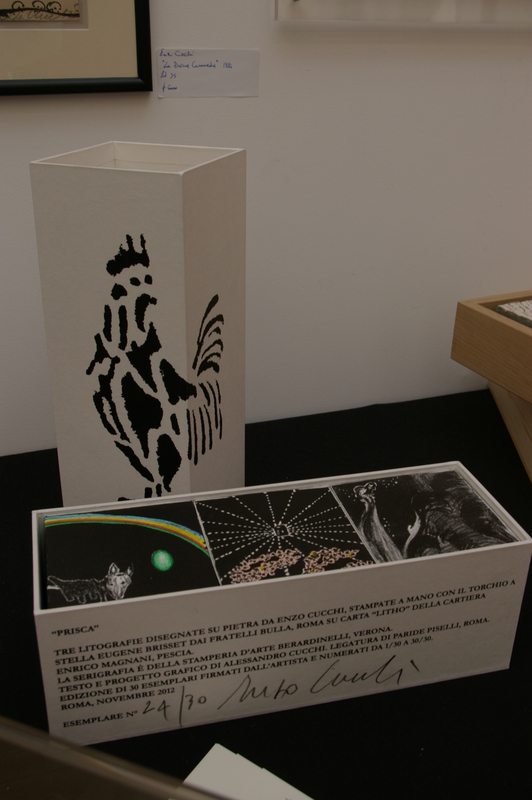 The periods of works span from around the 17th century to the present day, from Francisco Goya to Bridget Riley. The prices range quite nicely from as low as £50 to up to £26,000 in the case of Gerrish Fine Art’s 1977 Polaroid Self Portrait by Andy Warhol. The fair circulates in a clockwise direction, though Liliana and I went the wrong way. Fortunately, the entrance was also the exit, and the fair was of a circulating type. Anyway, as soon as we entered, to our immediate left were a series of Bridget Riley prints exhibiting at Karsten Schubert. 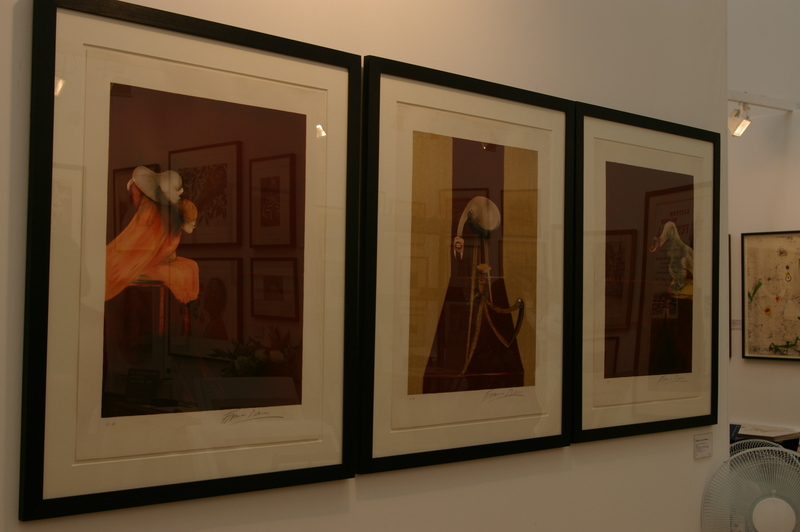 In front was TAG Fine Arts, selling a variety of prints such as David Spiller’s Love is the Light (Goofy) and a very interesting photogravure etching by Stephen Walter entitled Cyclesea (2013), selling for £1,100 unframed. 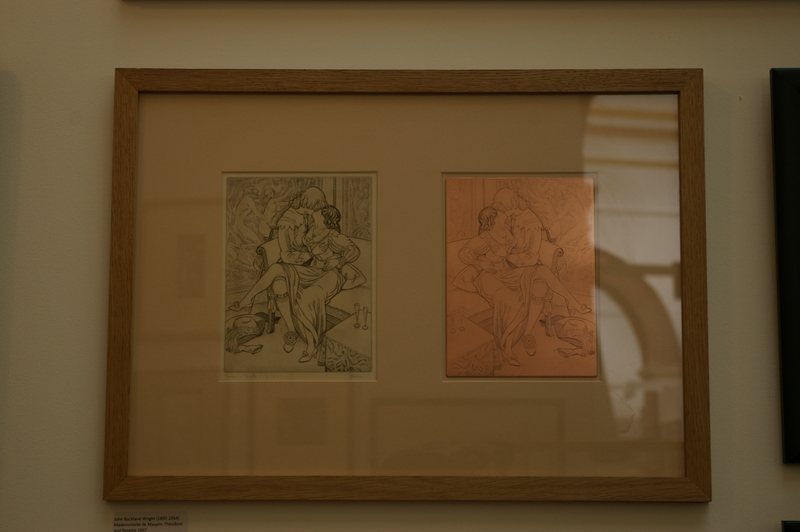 Emanuel von Baeyer was the 3rd gallery accommodating the Central Hall, selling mainly 17th-19th century prints such as those of Christopher Le Brun, yet I was also able to find several Lucian Freuds. 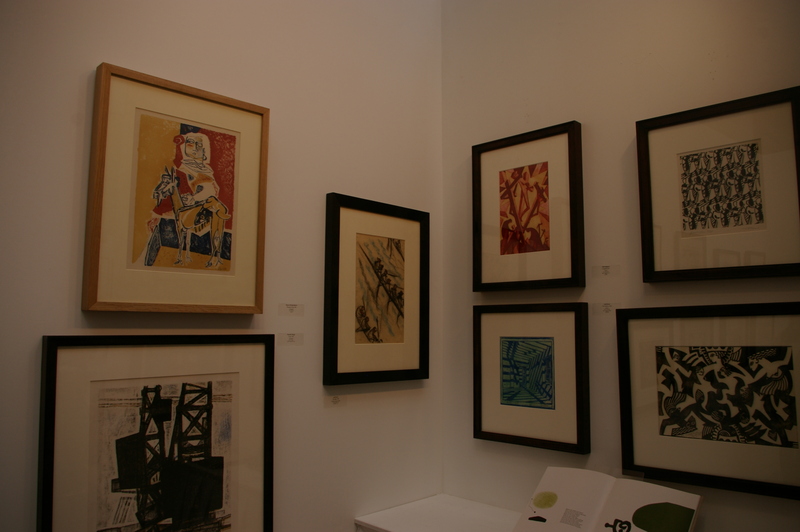 Throughout the fair we both noticed the prominence of prints by Picasso, Matisse, Miro, etc. 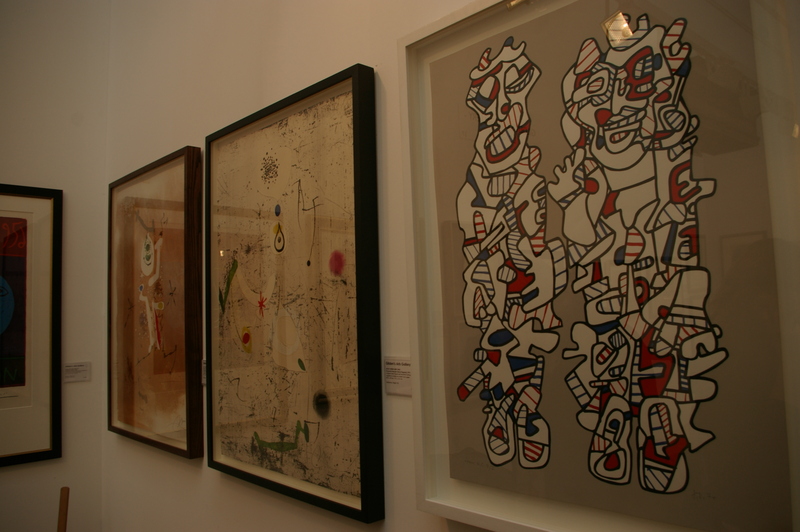 I saw a few Vollard Suite prints selling for £12,000 each at Galerie Fetzer, and several other Picasso’s scattered around. 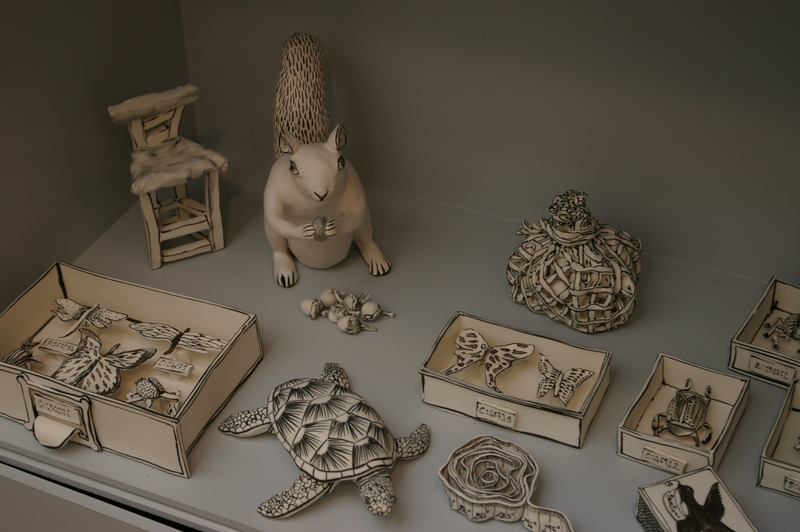 Some of his pottery works were on sale too! And going back to the quotation at the beginning, there certainly was a fair amount of Francis Bacon. Liliana checking out the Miros. Own photograph. 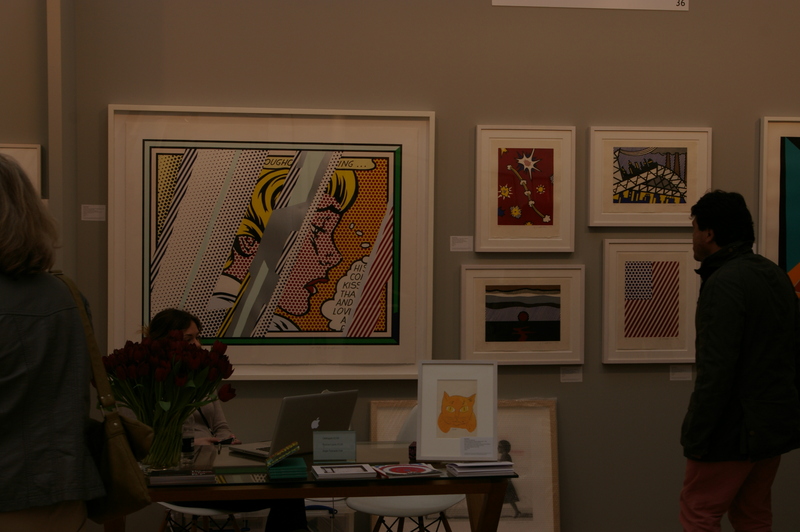 Perhaps just to commemorate the Tate’s Lichtenstein retrospective, there were a decent number of Lichtenstein prints on sale, mostly at Sims Reed. 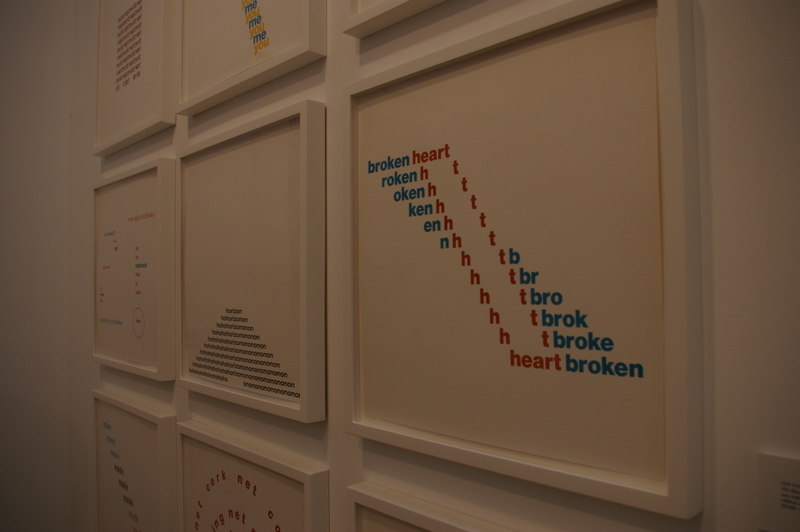 At Manifold Editions we came across several Damien Hirst spot paintings – price unknown – whom Liliana really hated. 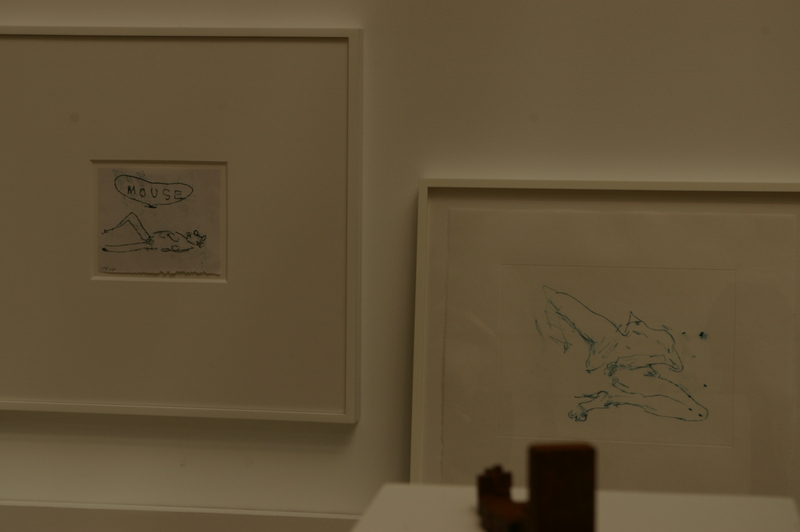 On the other hand, she quite liked the Tracey Emins in the other galleries. Personally, my most interesting find was a framed engraving by John Buckland Wright (1897-1954) entitled Mademoiselle de Maupin: Theodore and Rosette (1937), complete with its original etched copper plate in the same frame! 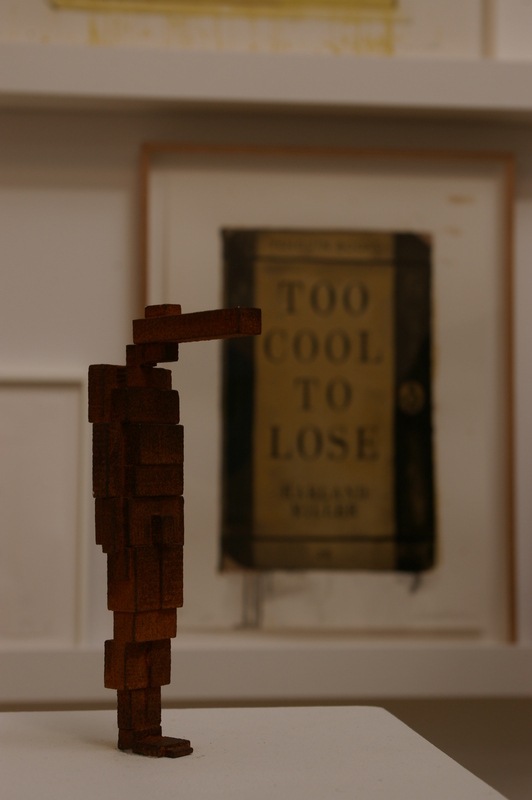 This was selling for £1500 at Wolseley Fine Arts. John Buckland Wright, Mademoiselle de Maupin: Theodore and Rosette, 1937. Own photograph. I’m sorry this is such a brief post, but writing at 4am isn’t really helping. 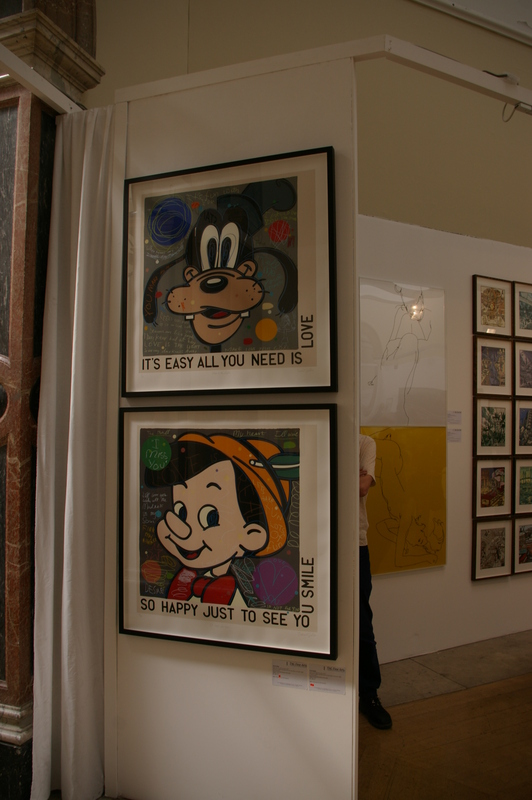 Furthermore, there isn’t actually that much to say about it, other than it offers a wide range of original (usually artist-signed prints) for sort-of decent prices. 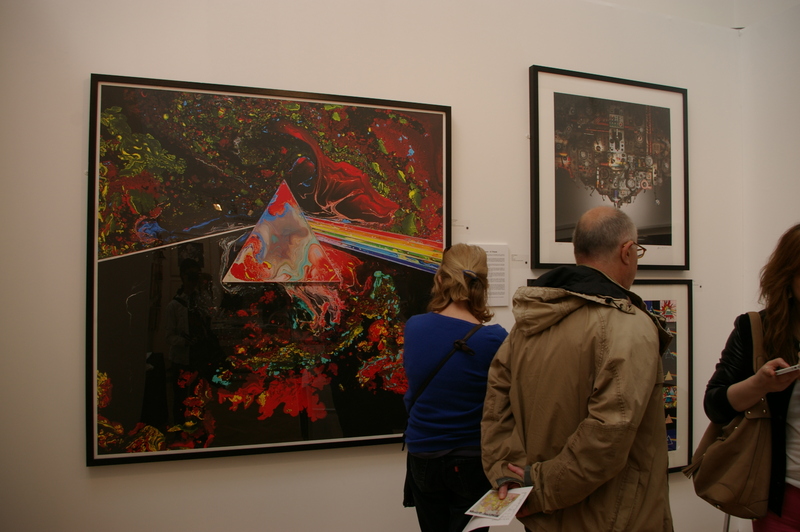 So instead I’ll show you some of my photographs of the fair. 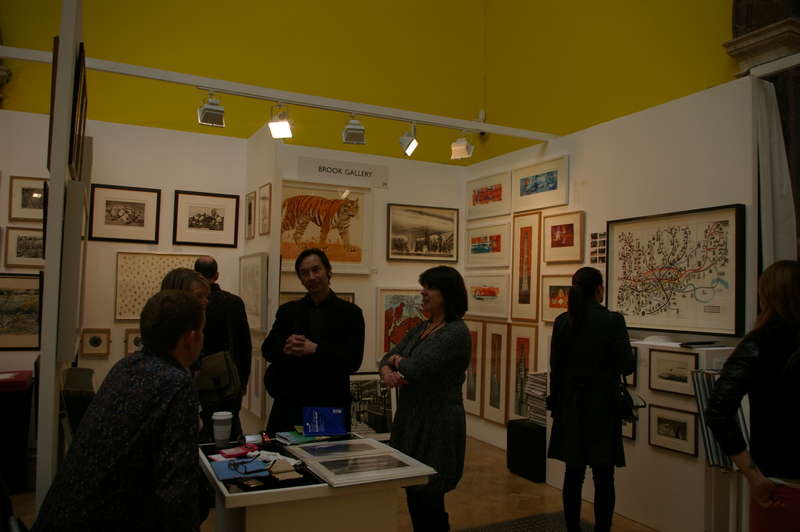 London Original Art Fair 2013 runs until 28th April 2013 at the Royal Academy of Arts, www.londonoriginalprintfair.com.